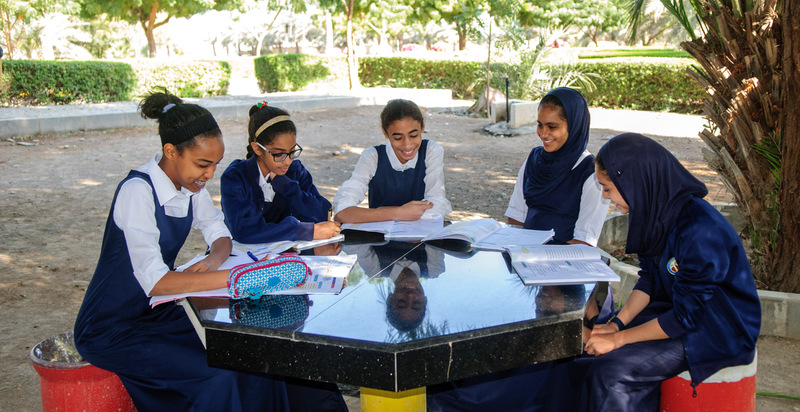 In Middle School (Years 7-9) at The Sultan’s School, students experience a 40 lesson week, with each lesson lasting 40 minutes. Throughout the school day, students move to dedicated classrooms in mixed ability groups. The exception is in English and Mathematics, where students are set by ability throughout the three years. In Year 9 students study the above but do not have take three Creative Arts and can choose two of the following; Art, Drama, English Language, Music. 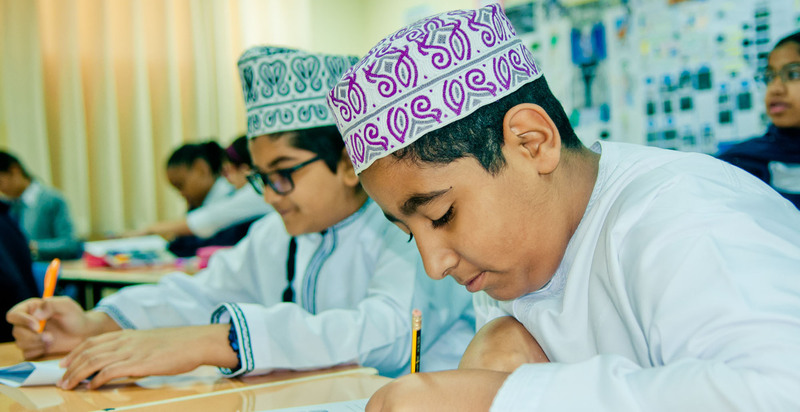 The school’s English curriculum in the Middle School is based on the National Curriculum of England, whereas the Arabic programme of study follows requirements set by the Ministry of Education.